Lauren Aronson: Advertising & Media/Litigation & Trial Lawyer: Washington, D.C.
Lauren Aronson is an Advertising & Media counsel in Crowell & Moring’s Washington, D.C. office. Lauren represents clients across a variety of industries in advertising and marketing law. She has assisted numerous clients in initiating and defending false advertising challenges before the National Advertising Division (NAD) of the Council of Better Business Bureaus (CBBB), and the National Advertising Review Board (NARB), and has provided counsel in Lanham Act false advertising suits. Lauren has also represented clients in investigations and actions brought by the Federal Trade Commission and state attorneys general relating to marketing and sales practices. Lauren is recognized by Best Lawyers (2019) in Advertising Law. She is Vice Chair in the ABA’s Consumer Protection Committee. "Guidance on Reliable Testing to Support your Advertising Claims," National Advertising Division West Coast Conference, Los Angeles, CA (March 2019). Moderator: Lauren Aronson. "Promoting Transparency in the Ad Distribution Process," ACI's 6th Annual Digital Advertising Law and Compliance Conference, New York, NY (June 25, 2018). Presenter: Lauren Aronson. "Update on Developments in Advertising Law and Consumer Protection," BAA Legal Affairs Committee Webinar (February 15, 2018). Presenters: Peter B. Miller, Josh Thomas Foust, Lauren Aronson, and Chalana N. Williams. "Reading Between the Lines: Identifying Different Types of Claims and Mastering Their Nuances," ACI Advertising Claims Substantiation Boot Camp, New York, NY (January 25, 2018). Presenter: Lauren Aronson. "What's Next -- Hot Issues at the Nexus of Consumer Protection, Antitrust, and Sports," American Bar Association Teleconference (December 5, 2017). Presenter: Lauren Aronson. "Current Topics in Advertising Law," Brand Activation Association (BAA) Share Group, Cincinnati, OH (June 2016). Speaker: Lauren Aronson. "Advertising to Children and Parents: Remaining in Compliance with FTC Guidance and COPPA," ACI Regulatory and Compliance Summit on Food & Beverage Marketing and Advertising, Chicago, IL (May 2016). Panelist: Lauren Aronson. "Native Advertising," Media Law Resource Center, Los Angeles, CA (April 2016). Speaker: Lauren Aronson. "Fundamentals of Consumer Protection Law," ABA Section on Antitrust Law Spring Meeting, Washington, DC (April 2016). Panelist: Lauren Aronson. "Not Just for Cat Videos: Staying on Top of IP Issues in a BuzzFeed World," DRI’s Intellectual Property Litigation Seminar, Chicago, IL (May 2015). Speaker: Lauren Aronson. 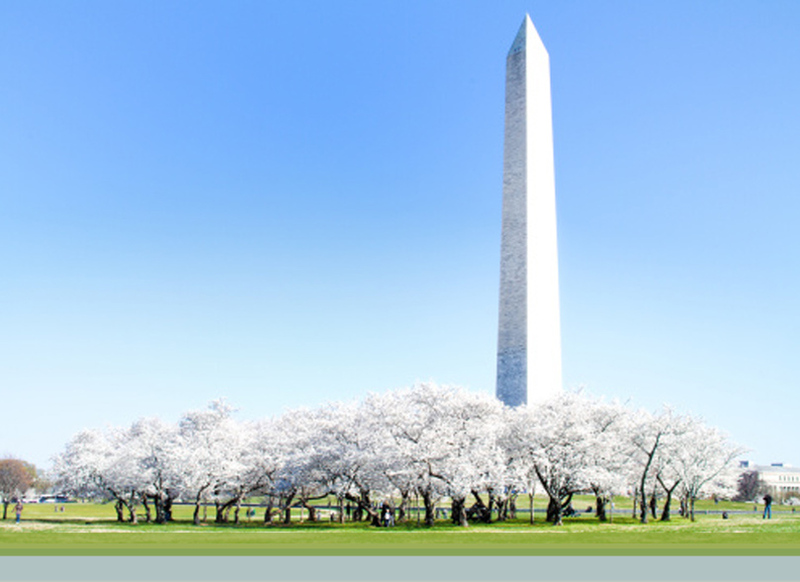 "Fundamentals of Consumer Protection Law," ABA Section on Antitrust Law Spring Meeting, Washington, DC (April 2015). Panelist: Lauren Aronson. "New Developments in Environmental Marketing," Brand Activation Association (BAA) Annual Marketing Law Conference, Chicago, IL (November 2014). Presenter: Lauren Aronson. "Proven Strategies for Successfully Crafting a Legally-Compliant But Effective Ad from Start to Finish," The Food & Beverage Marketing & Advertising Law Summit, Chicago, IL (September 2014). Panelist: Lauren Aronson. "New Developments in Environmental Marketing," Brand Activation Association (BAA) Annual Marketing Law Conference, Chicago, IL (November 2013). Presenter: Lauren Aronson. "The Television Network Advertising Clearance Process: Soup to Nuts," ABA Section on Antitrust Law, Consumer Protection Division (November 2011). Moderator: Lauren Aronson. "FTC Targets Cryptocurrency Pyramid Schemes," Crowell & Moring's Retail & Consumer Products Law Observer (April 2, 2018). Authors: Kate M. Watkins and Lauren Aronson. "Holding Agencies Accountable: Ad Agency Agrees to Pay Largest Penalty Ever for False Advertising," Crowell & Moring's Retail & Consumer Products Law Observer (February 15, 2018). Authors: Lauren B.Aronson and Helen Osun. "FTC Settles First Connected Toy Case With VTech After Massive Data Breach," Crowell & Moring's Retail & Consumer Products Law Observer (January 16, 2018). Authors: Peter B. Miller and Lauren B. Aronson. "Five California Communities Settle Auto-Renewal Claims with Online Dating Company eHarmony for More than $2 Million," Crowell & Moring's Retail & Consumer Products Law Observer (January 10, 2018). Author: Lauren B. Aronson. "ROSCA Enforcement Ahead: FTC Settles with AdoreMe for $1.38 Million," Crowell & Moring's Retail & Consumer Products Law Observer (December 14, 2017). Author: Lauren B. Aronson. "FTC Announces First Enforcement Action Against Social Media Influencers and Updates FAQs Rejecting Common Disclosure Practices," Crowell & Moring's Retail & Consumer Products Law Observer (September 12, 2017). Author: Lauren B. Aronson. "Laura Brett Named New NAD Director," Crowell & Moring's Retail & Consumer Products Law Observer (August 7, 2017). Author: Lauren B. Aronson. "Trampoline Manufacturer Can’t Bounce Away From FTC Trouble," Crowell & Moring's Retail & Consumer Products Law Observer (June 19, 2017). Authors: Danielle Rowan and Lauren Aronson. "Failure to Obtain Viewer Consent Leads to $2.2 Million Settlement for Vizio ," Crowell & Moring's Retail & Consumer Products Law Observer (February 9, 2017). Author: Lauren B. Aronson. "Lord & Taylor Settles With FTC for Not Disclosing Native Ads," Cyberspace Lawyer (May-June 2016). Co-Author: Lauren Aronson. "FTC Issues Long-Awaited Native Advertising Guidance," Cyberspace Lawyer (January-February 2016). Author: Lauren Aronson. "Navigating Native: A Checklist of Compliance Steps for Ensuring Proper Disclosures for Native Ads," Bloomberg BNA Electronic Commerce & Law Report (January 13, 2016). Co-Author: Lauren Aronson. "Legal Review: FTC Frowns on L'Oreal Skin Care Claims," Response Magazine (August 2014). Co-Author: Lauren Aronson. "False Advertising Litigation and the Use of Google AdWords," E-Commerce Law & Policy (April 2011). Co-Author: Lauren Aronson. "Will the Landscape of Corporate Prosecutions Change?" Business Law & Governance (June 2009). Co-Author: Lauren Aronson.